No, the HRH is not British. It is by pretense due to Caroline's marriage to HRH Prince Ernst August of Hanover, de jure King of Hannover. The Monegasque court styles the Princess as HRH The Princess of Hannover, as a matter of courtesy. Neither Prince Rainier III nor Prince Albert II created the HRH for Caroline. The Sovereign Prince of Monaco, a princely state, cannot give a higher rank than his own. The Prince of Monaco and male-line descendants are His or Her Serene Highness, which is lower in precedence than the HH. In the early part of the 19th century, the HRH was largely confined to the children of the sovereign, and, perhaps, the grandchildren of the sovereign in the male line. Further generations were HH (His/Her Highness). On July 22, 1816, in an Order in Council, the Prince Regent granted the HRH to Prince William, Duke of Gloucester, following the latter's marriage to the Prince Regent's sister, HRH Princess Mary. The HRH was also extended to the Duke of Gloucester's sister, Princess Sophia Mathilda. In 1864, Queen Victoria extended the HRH to the grandchildren of the sovereign in the male line. This was further defined in May 1898, when the Queen issued a new Letters Patent, extending the HRH to the children of the eldest son of the Prince of Wales. 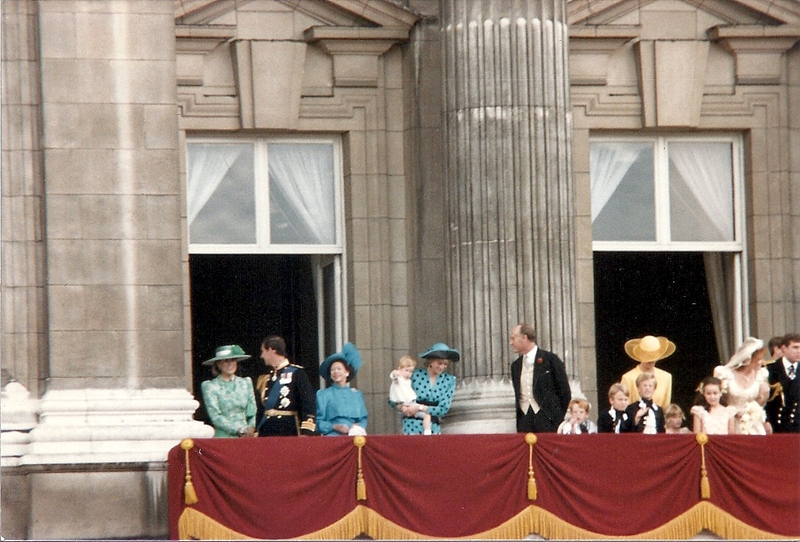 The first three children of the Duke and Duchess of York had the rank of HH before this change. The HH remained for other male-line descendants of the Sovereign, i.e., the children of the Duke of Albany (the Duke of Saxe-Coburg and Gotha) and Prince Arthur of Connaught. But all of this changed in 1917 when George V issued a new letters patent regarding titles and styles for members of the Royal Family. The HRH was limited to the children of the sovereign, the grandchildren of the sovereign in the male line and the eldest son of the eldest son of the Prince of Wales. This also applied to the title Prince or Princess of the United Kingdom of Great Britain and Ireland. Nearly three-year-old HH Prince Alistair of Connaught, son of HRH Prince Arthur of Connaught (a grandson of Queen Victoria) lost his HH and the title Prince. He went from being a prince to Alistair Windsor (bearing the courtesy title Earl of Macduff, as his mother was the Duchess of Fife in her own right. In 1942, he succeeded his grandfather, HRH The Duke of Connaught) as the second Duke of Connaught. He was styled as His Grace, and not HRH. If you look at the Court Circular for this time period, you will notice that Georg V's daughter, Princess Frederica, was styled as HRH Princess Frederica of Hanover, but the children of the Duke and Duchess of Cumberland were styled as Princes and Princesses of Cumberland (in Britain) but on the Continent, they were known as "of Hanover." In Britain, the children of the Duke and Duchess of Cumberland were HH as Princes and Princesses of Great Britain but were largely styled as HRH because they were also Princes and Princesses of Hanover, and the HRH was a higher rank. Their British titles were used when they applied for permission to marry as required according to the Royal Marriages Act. 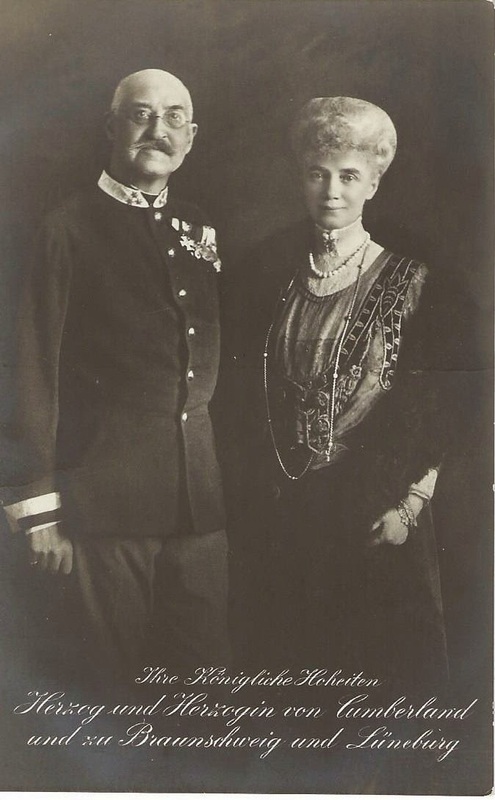 In May 1913, Princess Viktoria Luise of Prussia, only daughter of Kaiser Wilhelm II, married HRH Prince Ernst August of Hanover, although he was mentioned in the Court Circular as HH Prince Ernest Augustus of Cumberland. Because he was a Prince of Blood Royal, a representative from the Home Office was present in Berlin, when Princess Viktoria Luise gave birth to the couple's first son, HRH Prince Ernst August, but HH Prince Ernest Augustus of Cumberland. So why does the family continue to use the title Prince or Princess of the United Kingdom of Great Britain and Ireland? Very simple. Tradition. Family history. 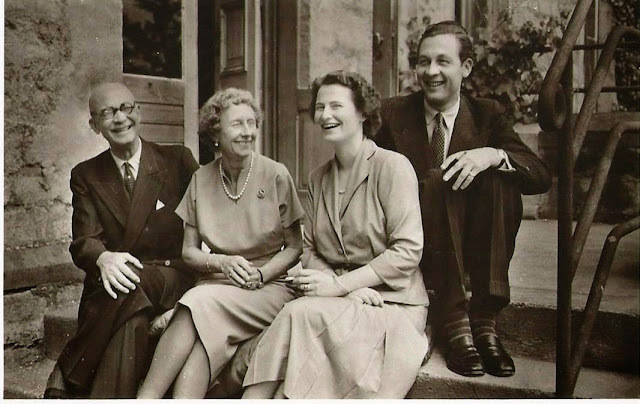 In 1931, the head of the house, Prince Ernst August, then head of the house, declared that he and his male-line descendants would continue to style themselves as such because they were the only male-line descendants of George III (not in contravention of the Royal Marriages Act.) 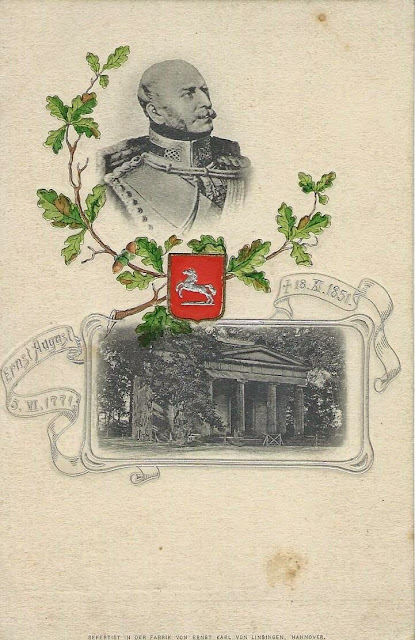 The present Prince Ernst August of Hannover (1954) is the senior male-line descendant of George III. This declaration was made by a German citizen, whose German titles had become a part of his legal surname. It can be said that British sovereigns have tended to look the other way in regards to the use of the older British title. There is no legal basis for the inclusion of the British titles. It is apparent that the British sovereign treats the 1931 decision as a courtesy. In 1951, King George VI and Queen Elizabeth sent a congratulatory telegram to Prince Ernst August of Hanover and Princess Ortrud of Schleswig-Holstein, addressing them by their British titles. Queen Mary is the godmother of their eldest child, Princess Marie. Most members of the Hanover royal family have asked for permission to marry, using the Royal Marriages Act although the Orders in Council usually do not include the British titles. This is how it appeared in the Order in Council for the present Prince Ernst August's request. Notice the HRH, but no British titles. 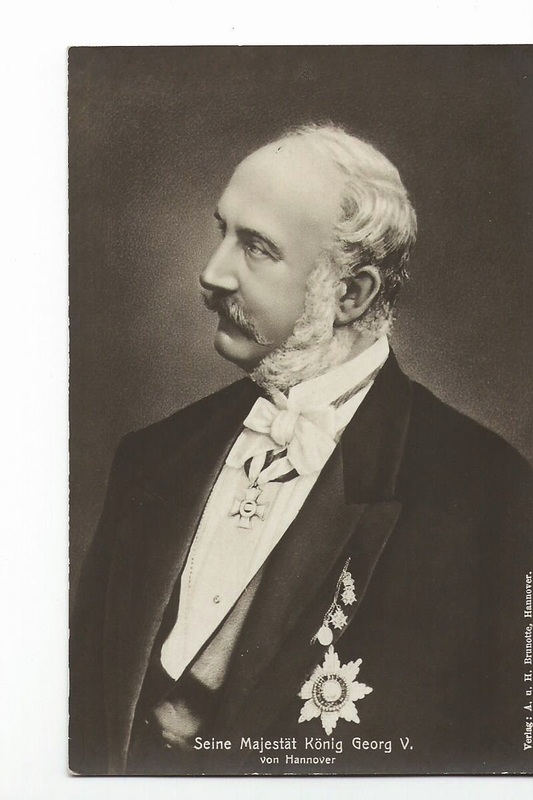 The British sovereign recognized Ernst August as an HRH and a Prince of Hanover, as a matter of courtesy. "My Lords, I do hereby declare My Consent to a Contract of Matrimony between His Royal Highness Prince Ernst August Albert of Hanover, Duke of Brunswick-Lüneburg and Her Serene Highness Princess Caroline Louise Marguerite of Monaco." When the new succession law becomes official (a few small hurdles left in Australia), members of the Hannover royal family will not need to seek permission from the British sovereign to marry. Prince Ernst August's first marriage (to Chantal Hochuli) was dissolved in the United Kingdom. The divorce decree refers to Ernst August by his legal surname Prinz von Hannover, Herzog von Brunswick-Lüneburg, Prinz von Grossbritannien und Irland. No HRH. Thus, the use of HRH is courtesy. In Germany, royal titles and styles are used socially, informally, but are not found on passports, birth certificates or other legal documents. It is not legal because Germany is a republic. Since 1919, titles are a part of one's surname. This same courtesy is extended to other former sovereigns and their families. The Monegasque court recognizes Ernst August as a Prince and HRH. Thus, his estranged wife is accorded the HRH by virtue of her marriage and recognized by other royal houses. It may even be on her Monegasque passport. Caroline's younger daughter, Alexandra's HRH and title, is also recognized in Monaco. "Prinz von Grossbritannien und Irland." 2. If he were a prince a prince of Great Britain and Ireland, would he not automatically be an HRH? Reread the article. the Hanovers are not princes and princesses of the UK. They use the title by pretense as declared by Ernst August's late grandfather in 1931. Is there any reason why those two lovebirds haven't officially divorced yet? They've been apart for a long time and I think I saw one of your articles about him canoodling with some other lady. Fascinating insight into Caroline's rank and style. On the grand scale, HRH is followed by HH then HSH. Yes, Monaco is a small, humble principality, but couldn't the sovereign prince change his own rank and style from HSH to HH or HRH? If it was a custom that male-line descendants of British sovereigns were accorded the title and dignity of prince/princess with stylee Highness for more remote descendants, why did George V issued a letters patent granting it to the Duke of Brunswick's children? Weren't they so automatically, by birth? George V's Letter Patent excluded the Hanovers. Queen Victoria issued several Letters Patents extending the HRH, for example to the grandchildren in the male line, and the children of the Duke of York (GEorge V) all of whom were born HH. But the HH was for all other great grandchildren in the male line and further generations .. but in 1917, George changed this .. the HH was dropped completely. He limited the HRH and title of Prince or Princess of the UK to the children of the sovereign, the grandchildren in the male line and the the eldest son of the eldest son of the Prince of Wales. HH Prince Alastair of Connaught, a great grandson, lost his princely title and was styled as Earl of Macduff as his mother was Duchess of Fife in her own right. If his mother did not have that peerage, he would have gone from HH Prince to Lord Alastair Windsor. The Hannovers lost their HH and British titles. The Duke of Cumberland lost his British peerages in the title deprivations act, but he was a great-grandson of George III and he retained his HH and British prince title .. The Duke of Brunswick and his siblings and further generations officially lost the HH and the British titles .. They were HRH in Hanover, but after 1919, it was no longer official .. in 1931, the Duke issued a non-binding decree that said he and his male line descendants would continue to style themselves as Princes of the UK of GB and Ireland (not Northern Ireland) because of their male line descent from George III. The British sovereigns have looked the other way .. as most Hanovers continued to apply for permission to marry according to the Royal Marriages act, which is no longer needed. Marlene, I meant the letters patent from June 17, 1914. "The London Gazette announces that the King has been pleased to ordain that the children born to their Royal Highnesses the Duke and Duchess of Brunswick and Lüneburg shall enjoy the style of "Highness" with their titular dignity of Prince or Princess prefixed to their respective Christian names, or with any titles of honour which may belong to them; and that the designation of the said children shall be "a Prince (or Princess) of the United Kingdom of Great Britain and Ireland". (Times, Jul 18, 1914 p. 8E). It was issued before the changes in Royal titles and styles from 1917. So, my question is was some sort of confirmation of the newly-born children's rights to the British titles or what? Because I assume they were legally Princes and Princesses of Blood Royal in the UK by birth (until 30 November 1917) and no letters patent was needed. I know the case of Prince Alastair well but thanks for mentioning it. He is a "lost" member of the Clan Windsor, I think. As for the Ireland/Northern Ireland case - until 1921 the state's name was ...of GB and Ireland. So, they were all Princes of the UK of GB and Ireland. In 1921, the official designation of their title changed with the name of country but the Hanovers' titles were already in pretense at that time. A funny thing I found: the King's Order in Council from 28 March 1919 (1919!) mentions the former Duke of Brunswick as "His Royal Highness Ernest Augustus (Duke of Brunswick), Prince of Great Britain and Ireland". As per the Letters Patent from 1917, he was no more a British prince but he was accorded that title in an official document. Simply by courtesy? His father is simply titled by his British peerage titles, of which he was stripped of by the said Order. Their Royal Highness style in the order is obviously by courtesy as there was no more Duchy of Brunswick in Germany since 1918 and the Royal styles were non-existent (and their British one's of Highness also gone since 1917). Also, could you provide a source for your saying that a British official was present at the birth of the Hereditary Prince Ernest Augustus in 1914? And a source styling him Prince Ernest August of Cumberland? Thanks, Kamil. Members of that family were styled at the British court as "of Cumberland" in the Court Circular and the Times referred to Ernst August as Prince Ernest Augustus of Cumberland in their articles about the engagement and wedding. This included his sisters Alexandra and Marie Louise, as well as their parents,who were the Duke and Duchess of Cumberland and styed as such. I have a copy of the 1914 LP ... it was done before the war, just weeks before the war. Queen Victoria issued the LP in 1864 that stated the children of the sovereign and grandchildren of the sovereign were in make line were HRH, and in 1898, another LP to give the children of duke of York the RH. 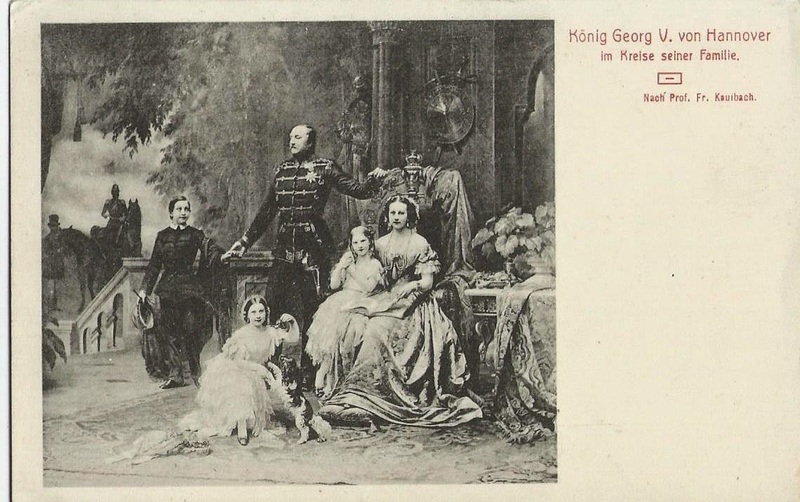 More tradition that everyone else was HH, but Ernst August was George V's first cousin and perhaps a way to recognize that the Hanovers were also still British .. the references to a representative at the birth appears in articles in the Times that "Great Britain will be officially represented at the birth of an heir" Another article noted that Sir Horace Rumbokld, Councillor of the British Embassy went to Brunswick to be present for the birth, as the Ambassador was ill -- and would would furnish the British government with "the official and medical certificates of the birth of a child." The 1914 LP remained valid as no new LP was issued to strip the HH ... the peerages were another matter.